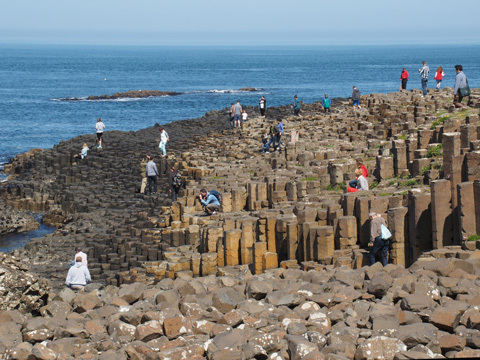 The Giant’s Causeway is Northern Ireland’s only UNESCO World Heritage Site. 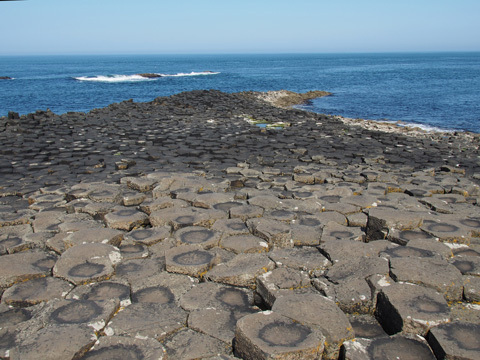 It is renowned for its polygonal columns of layered basalt formed from a volcanic eruption 60 million years ago. 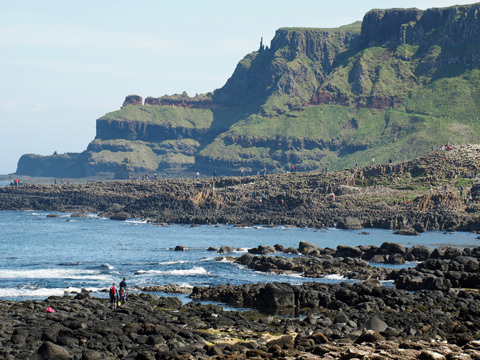 It is the focal point in an area of Outstanding Natural Beauty which stretches along the North Antrim Coast. The formation of the Giant’s Causeway was due to intense volcanic activity, causing lava to well up through fissures in the chalk bed, forming a “lava plateau”. Three periods of volcanic activity gave rise to the Lower, Middle and Upper Basalts. It’s the Middle Basalts which form the famous amphitheatres of hexagonal columns in the Causeway. 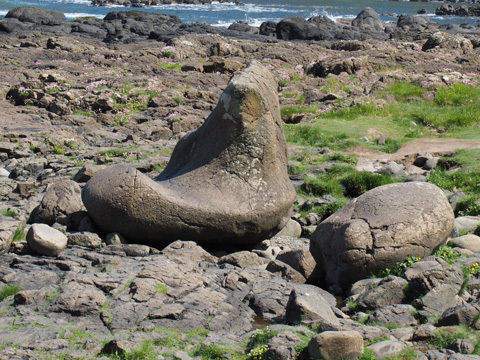 Weathered formations have created circular structures round a core of basalt, known locally as “Giant’s eyes”. Other formations have popular names such as the Chimney Stacks, the Harp, the Organ, the Wishing Chair and the Camel’s Hump. Sea birds can be seen off the coast including species of fulmar, petrel, cormorant, shag, redshank, guillemot, and razorbill. Rare and unusual plant species include sea spleenwort, hare’s foot trefoil, vernal squill, sea fescue and frog orchid. Visitor facilities include a shop providing refreshments and souvenirs. Guided tours are possible by arrangement for groups.